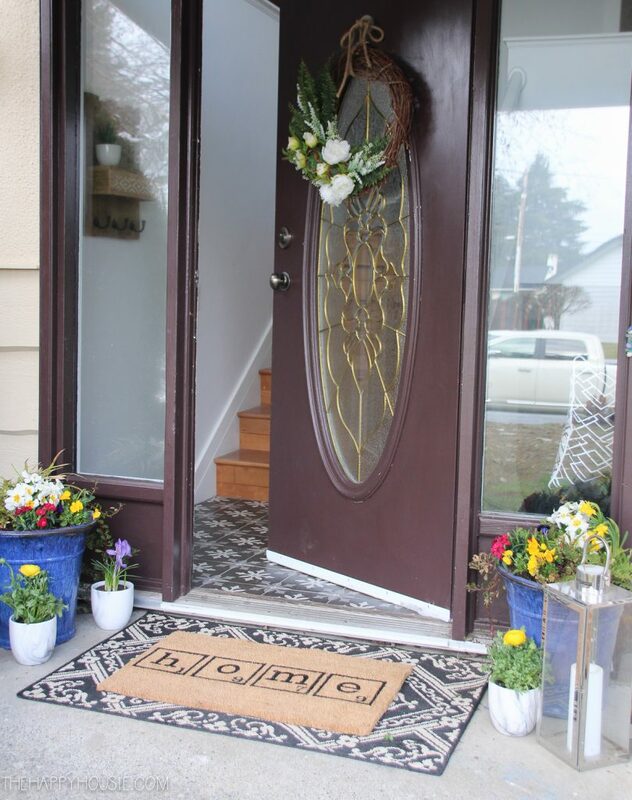 Today I’m sharing some tips for quick and simple spring porch decor as well as some inspiration for how we plan to give our front entry a makeover this spring. It’s something that a wise friend told me a year back, and has become a mantra I’ve been repeating to myself lately as I work on making our new house into a comfortable and happy home for our family. Even though we have plans to renovate most areas in our home over time, I’m not putting off those simple and basic touches that transform it from someone else’s home into our home. 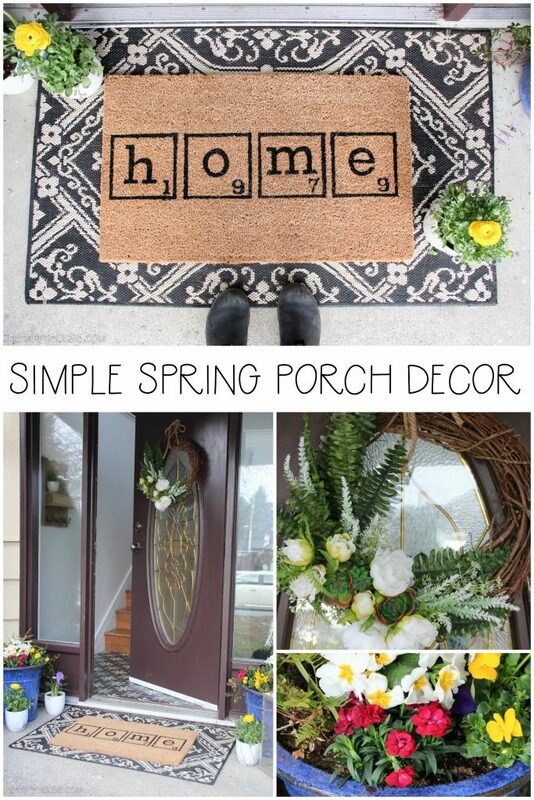 Such as adding some springy touches to the front porch! We have major makeover plans for this area in the coming months, but for now I’ve just added a few cheery touches and a cute welcoming door mat. We’ve got so much going on that keeping seasonal changes quick and simple is key. In the long term, we plan to switch out this door, paint the house/trim/door, as well as update the concrete porch landing with the same product we used here. 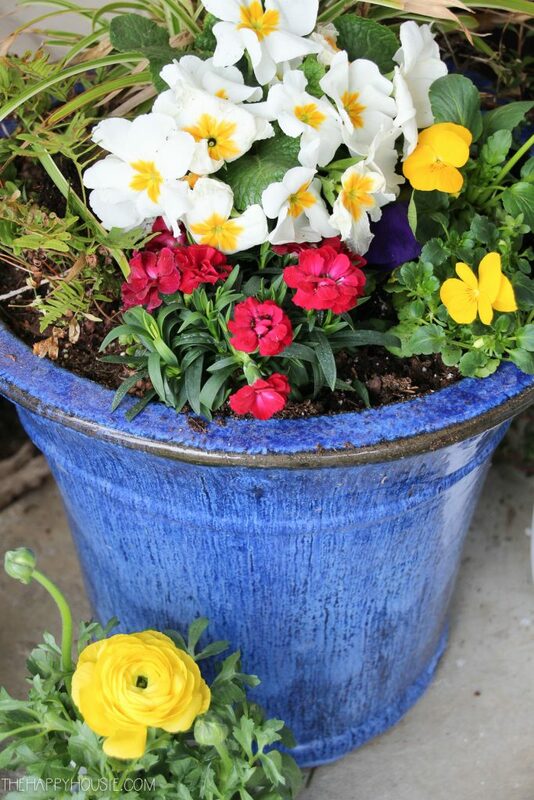 Adding flowers to update my winter pots in the spring is one of my favourite ways to mark the change of the season. The bright, happy colours are like a coming up for air. 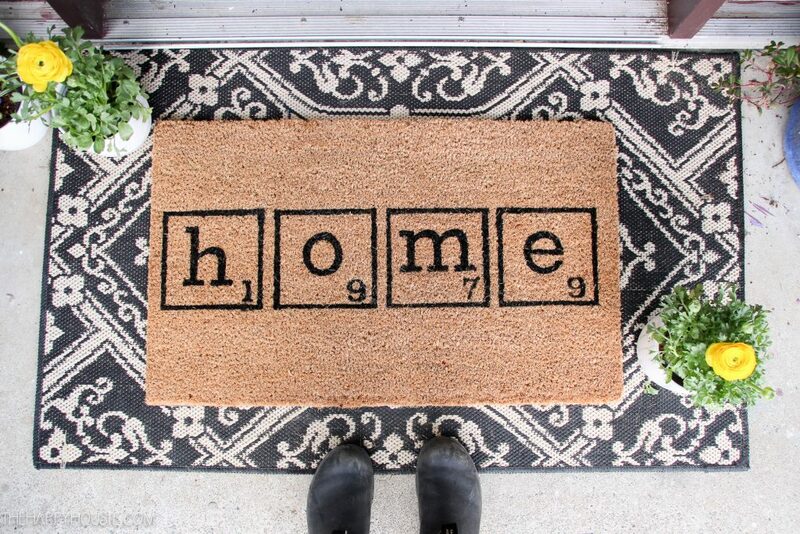 What do you think of the double door mat trend? I really love it – coir mats always felt a little too small, but by grounding them on a larger outdoor mat they look the perfect size! 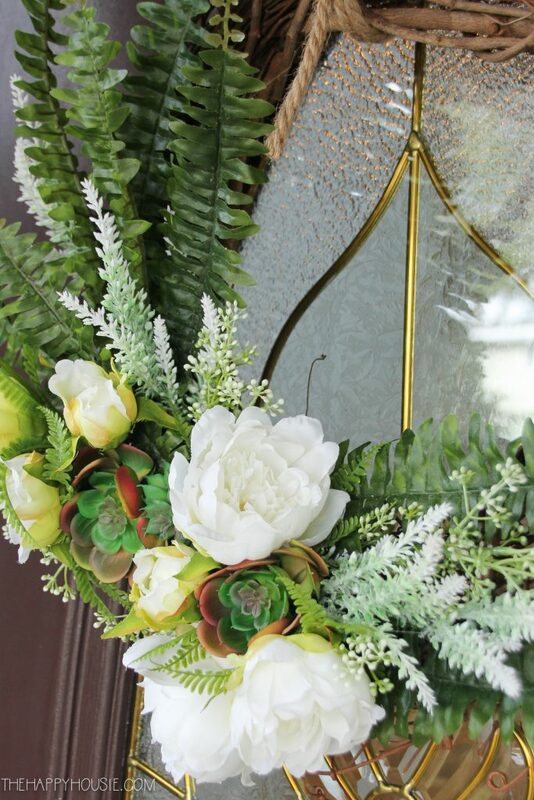 I shared my spring wreath DIY last week – pop over here to see how I updated last year’s spring wreath to give it a whole new look. 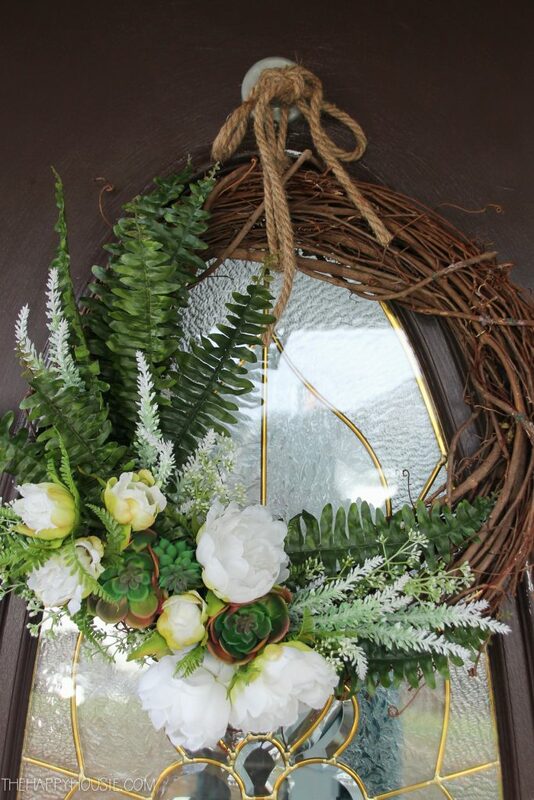 ﻿See my DIY tutorial for this wreath here. See! 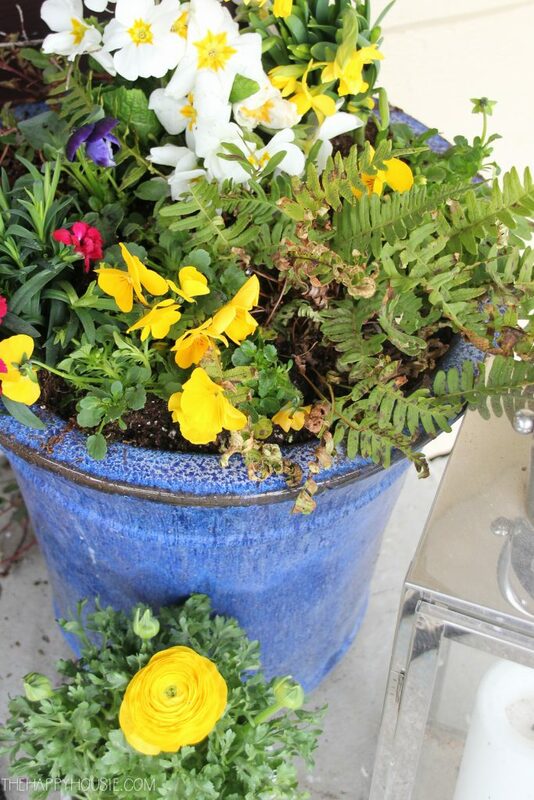 You don’t have to do much to give your front entry a cheery, spring feel. Even if you have plans down the road to make major changes, it’s still nice to add those little seasonal touches that make your home feel… done, even if it’s not “perfect”. 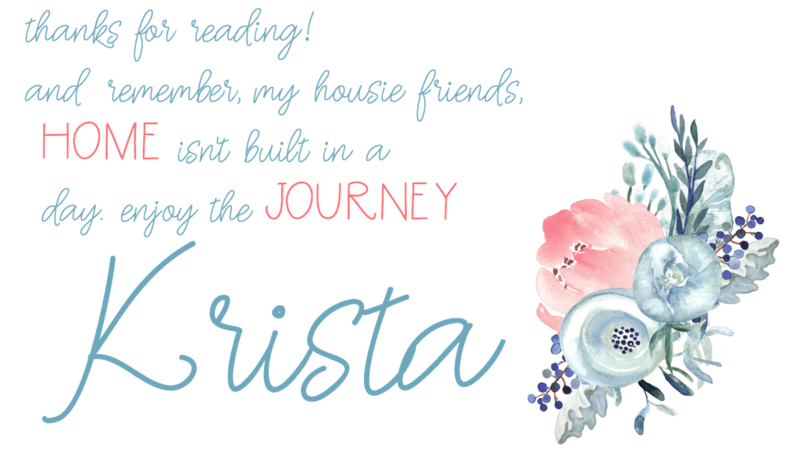 Krista I love these beautiful simple updates you made to your pretty porch! So lovely as always, xo! Wow, it’s lovely spring decor ideas, Krista. Adding flower pot in decoration is really good. Thank you for sharing the lovely ideas. 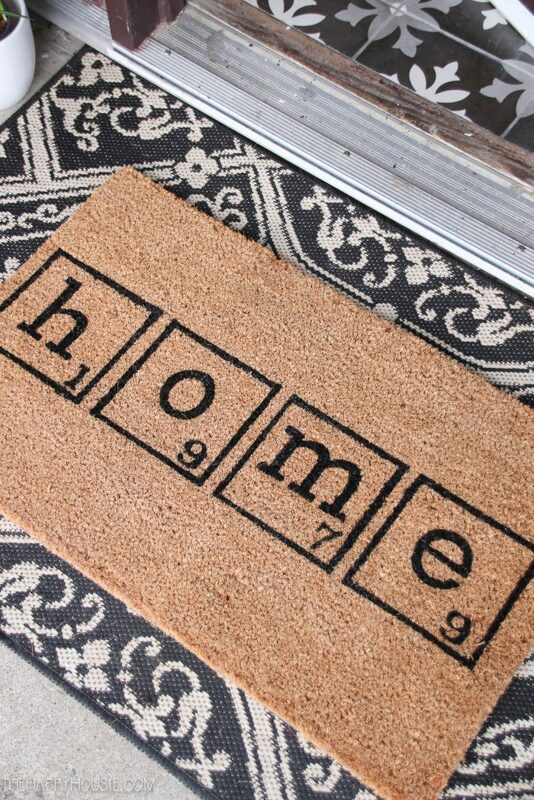 I love the door mat! 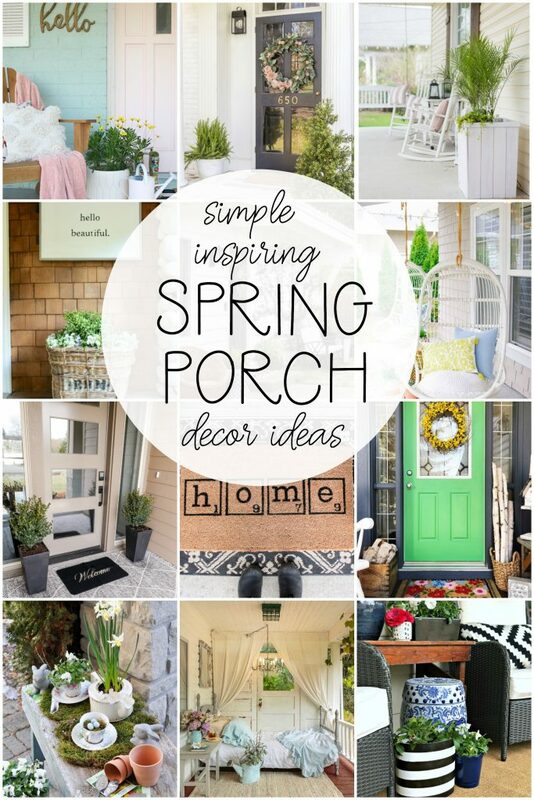 Krista I love your simple updates to your front porch for spring. Beautiful!